In this series, we cover the aviation YouTube channel worth subscribing to for pilots and aviation enthusiasts. If you have any recommendations for great YouTube channels we definitely have to feature, feel free to let us know in the comments section! In the first article of this series, we featured one of my favorite YouTube channels ever: Steveo1Kinevo. In this month’s YouTube channel of the month, we’ll feature another ons of my favorite Youtube channels: FlightChops! While Steveo of Steveo1Kinevo is a commercial pilot flying TBMs and Caravans for a living, FlightChops' Steve is just a private pilot who shares his experiences, adventures and lessons. 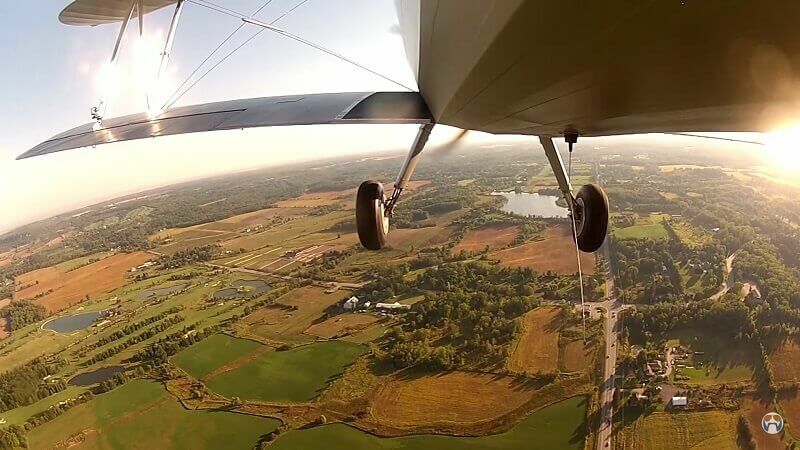 From learning to fly warbirds like the Boeing Stearman, to IFR flying lessons and taking a Supercub for some backcountry flying in Canada, Steve's Youtube channel has it all. You can join Steve and his crew (yes he has a whole crew to produce his videos!) on big events like EAA's Oshkosh where he takes a front-seat ride in the US Coast Guard's Dolphin helicopter, or you can watch him flying a glider in the mountains at 10.500 feet. He produces some great content for every kind of pilot! And you can't imagine the kind of experiences he gets the opportunity to have! Not only are his videos incredibly awesome and making you want to go out flying, they are also very interesting and educational. Steve uses his channel to become a better pilot by constantly learning new things and improving his skills as a private pilot, making them self-analyses that are both fun and educational. Just virtually going along his flights will teach you a lot about become the best pilot you can. Steve also holds the Greatest monthly aviation contest on his website, giving away monthly prizes totaling over $4000! You can win ForeFlight subscriptions, Bose earphones, iPad cockpit mounts, DVD's, courses and even complete flying adventure trips! Everyone can enter and there are multiple winners every month. If you’re wondering where the name FlightChops comes from, just take a look at some of his videos, it won’t be hard to find out! Steve joins helicopter pilot and awesome dude Bradley Friesen in Canada. "Canada's craziest chopper pilot may not be so crazy after all!" "You only get one shot to land a glider. Great tips to make it count!" "It's a whole new experience landing when your forward view is totally obstructed!" "Watching the pitch change while deploying full flaps was amazing!" So, if you're a private pilot, a student pilot or just someone looking for some great new flying videos to watch, you definitely have to subscribe to the FlightChops Youtube channel! You can follow FlightChops on YouTube, Facebook or Instagram, and you can also support his videos on his Patreon page. What are your favorite aviation YouTube channels? Let us know in the comments!